Hey LA! Whispers From the Light is pleased to offer a variety of workshops to further guide your inner journey. Note: All offerings are taught by Renee Buck, Forever Family Foundation Certified Medium. See below for more information and links to registration page. Have you always been aware of your psychic connections to others? Do you sometimes connect with Loved Ones in Spirit through your dreams? Perhaps you sense Spirit around you? If you’ve been thinking about developing your natural abilities to tap into the wisdom of your higher self, to meet your Spirit Guides, or to learn to bring messages from Spirit in the Light, then you’ve come to the right place. 1. 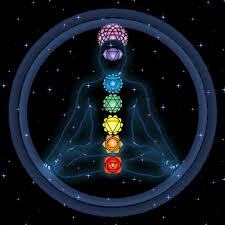 What are chakras and why is it important to balance them? 2. How are we energetically connected to others and to the Divine? 3. How to distinguish between self-talk and Spirit communication. 4. How to develop or “unfold” your innate psychic and mediumistic abilities. 5. How to open and close your psychic center safely. Weekly commitment: in addition to weekly classes, you will have reading homework (30-40 minutes) and an experiential assignment. As in all study, good preparation and diving deeply into the work will translate into a more rapid development of your psychic and mediumistic abilities. Trust me, it will be worth it! Things to bring: journal or notebook (for recording lecture notes, personal reflections, and your messages from Spirit), your favorite water bottle, and a positive state of mind! Limited to the first 8 registered students. So don’t delay! (!) My cat, Sampson, will be joining us, so if you’re allergic, consider your decision carefully. Refund policy: If you must cancel prior to class beginning, please do so via email by March 1 for full refund. Any cancellations within a week of class and prior to second class meeting, will receive 75% of registration fee. Sorry, no refunds after that point. Parking: There’s free two-hour parking available on the streets near class . Or take the subway! The Hollywood & Highland Red line station is just two blocks away. Testimonials: Read what former students said about this class. This is a weekly development class for students who have successfully completed the Introductory Course in Mediumship. The concepts and strategies learned in the prior class will be built upon and expanded. Each student will unfold at his or her own rate, and this forum allows for that opportunity. Increasingly difficult challenges are presented in an enjoyable and lively manner. NOTE: Respond to Renee’s email invitation to register for this class. Where: Seeking location to accommodate 12-14 students with yoga mats – can you recommend a space in Hollywood/West Hollywood? If so, write me! 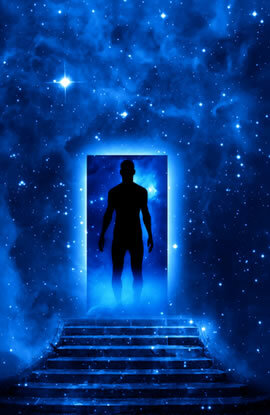 Past life regression therapy can be a powerful tool to explore our soul’s purpose in this lifetime, or even to discover themes across lifetimes. Through this form of light hypnosis, we are able to “unlock” information in our minds that is not normally accessible during full consciousness. In addition to exploring the soul’s purpose, past life regression often provides valuable insights into current relationships in our lives, chronic health issues, and even career paths. For many, these new insights bring a greater appreciation for the life we live, and for all those who participate in our lives for the benefit of our mutual learning and evolution. Each class will offer a topic for reflection and intent-setting, a past life regression experience, and time to write about the experience and share with the class if desired and time permits. Things to bring: Jacket or sweater, water bottle, and a journal to record your experiences. Refund policy: If you must cancel prior to class beginning, please do so via email at least one week prior to first class for full refund. Any cancellations within a week of class and prior to second class meeting, will receive 75% of registration fee. Sorry, no refunds after that point. Where: Seeking location to accommodate 12 students with yoga mats – can you recommend a space in Hollywood? If so, write me! Every so often, we benefit from a full-spectrum energy tune-up, and this workshop is designed to do just that. Through directed focus on the seven major energy centers (chakras) that make up our auric energy system, we come to recognize how integrally mind, body and spirit work together to enable our well-being. In this class, we’ll assess, explore, clear and energize each chakra through such diverse methods as energy reading, meditation, hypnosis, reflection and journaling, chanting and aromatherapy. The final 40 minutes of each class will be dedicated to yoga postures that energize the chakra of the day. All levels of yoga practitioners, welcome! Things to bring: yoga mat, water bottle, and a journal to record your experiences. Dress for yoga; bring long-sleeved shirt or sweatshirt for meditation or hypnosis sessions. Refund policy: If you must cancel prior to class beginning, please do so one week prior to first class for full refund. Any cancellations prior to second class meeting, will receive 75% of registration fee. No refunds after that point. I just met you and still am thinking about my friend “B” and the silly two part heart necklace. Kind of spooky and cool all at the same time. The lady at the desk somehow knew I wanted a medium and specifically made sure I saw you. I said to the lady that I felt like I was being directed to you and she said I was and that we’d talk later. She wasn’t there when I left, so I wish I knew what she wanted to talk to me about. But maybe it was so I could take your workshops? I have had psychic experiences my whole life. If you ever have a medium/psychic workshop, I’d be really interested. I am so glad my sister found your web site. She knew I would really like what you have to say. I love reading about your family and friends. Not sure you would remember me, Cindy D. from our NUHS track days. I know you’re likely busy as can be, but I was hoping you could contact me via email. I have good reason to believe I’ve had some gifts all my life that I’m just beginning to recognize (like adding 2 and 2 together and the light bulb suddenly turns on in your head). However, I have many questions and wish to consult with an expert. I see you’ll be running some workshops too, and I have some questions about those. I live down the road in the Mankato area here in good old Minnesota. I truly do hope to hear from you. Many thanks! Thank you for commenting. It sounds like you may be ready to unfold your spiritual gifts! I am working on some workshop possibilities – will respond to you on email. Just what I’ve been needing! I had decided to work on strengthening my mediumship abilities but, life is busy and I’ve got a whole barrage of excuses! I will keep checking your site to see when classes will be available.